Everyone loves a good party and Hadley Marquees take pride in providing the best of them. We can help provide the perfect backdrop to celebrate christenings, proms, anniversaries and birthdays – from little kids to big kids – whether it’s an 8th, 18th, 21st, 30th, 40th or beyond, we’ll help you party in style. We want you to be the perfect host so it’s not just the marquee we can provide – we can arrange all the associated services inside and out. Let us take the stress out of the organising so you can concentrate on having a good time. 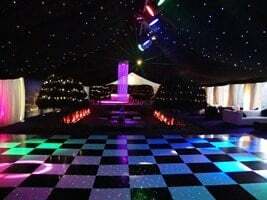 We know that parties can be small and beautiful or big and loud so we tailor each marquee to suit you and no one else. Our Chinese hats provide a stylish and elegant garden party feel and are perfect for the bijou and with our flexible frame marquees we can cater for even the biggest guest lists. Our expertise in event management and logistical planning ensures that all available space is utilised effectively. We can make zoned areas to generate a different feel throughout the marquee, from a dance area through to chill out zone through to the bar. With some clever interior design we can produce any look and feel you want providing you with an even greater opportunity to showcase your event. We have a network of quality suppliers who we have chosen to work with who can provide a range of services. Whether you are looking for luxury toilets, a bar and disco or specialist lighting we’re sure we’ll know someone right for the job. Themed parties are one of our specialities and a marquee is the perfect canvas for your creativity. We’ve brought the New York skyline to Newmarket and can bring Bond to your back garden, we love a challenge and the only limit is your imagination. Hadley marquees has over 20 years creating great parties – we’ve also been to a fair few! So we know what works and we’re confident we can help create a party to remember……..for all the right reasons! 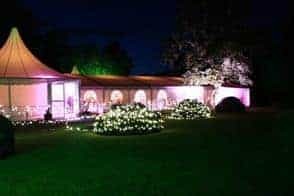 Party marquee hire in Norfolk, Suffolk, Cambridgeshire and Essex by Hadley Marquees the leading wedding marquee specialists.